With the introduction of Jarvis in a non-movie world, Facebook CEO Mark Zuckerberg is trending on top of the Google Trends. Voice of Morgan Freeman gives a god like feel to the audience. No doubt, Jarvis is the new era of Artificial intelligence and has a promising future. In the mean time when people are amazing with Jarvis’ capabilities to entertain Mark’s daughter Max, I wonder it is just a beginning of how much more Jarvis is capable of doing. Application of Jarvis in controlling Fake News on Facebook could be the one that might already be in mark’s intention. If Jarvis learns to the level when it would control the Fake News on Facebook, would be the greatest achievement in AI so far. At least the social media platform like Facebook would be free from these rouge elements. Fake News has been a pain not only for social media sites, but they have also bothered the search engine giants like Google and Bing. Fake News on Facebook was a matter that went too high in the US presidential elections this year. Even Google was not spared from it. Learning from the chaos, both the giants have promised to tweak their systems and try to diminish the rogue element from their walls and SERPs respectively. It would not be a wonder if you find Jarvis or any other such AI working against Fake News in the future for the social media giant. For the time being, Jarvis’ development in the past one year is definitely an amusement. It is the time when true AI is pacing its speed to get ahead of phone based AI like Apple’s Siri, Google’s assistant and Microsoft’s Cortana. Much advancement that has been seen in the Phone based AIs have also shown an indication of their way towards pure AI systems. In fact, Jarvis’ application at Zuckerberg’s home is a perfect example of how different AI systems can communicate with each other. Mark has also used Apple’s Siri to communicate with Jarvis in his home system. 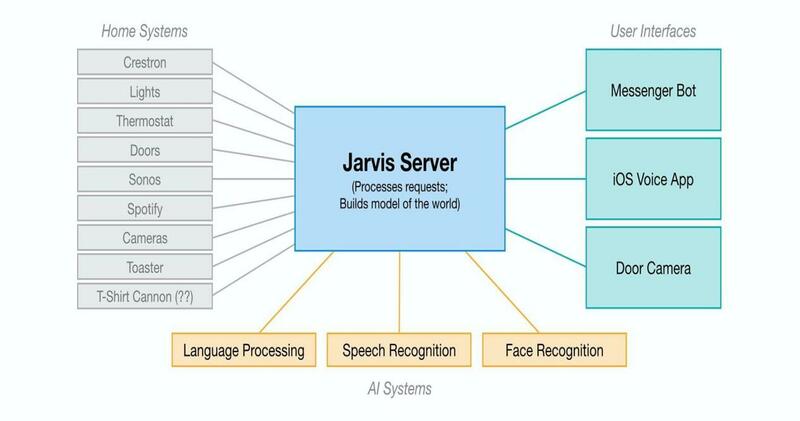 Jarvis uses various artificial intelligence techniques, which includes natural language processing, facial recognition, speech recognition, and reinforced learning. It has been written in Python, PHP and C language. The current system of Jarvis is explained in the diagram below which was posted by Mark Zuckerberg. Mark has deeply explained his system in his official post on Facebook. He has explained how he started with the project and what advancements have been achieved till now. 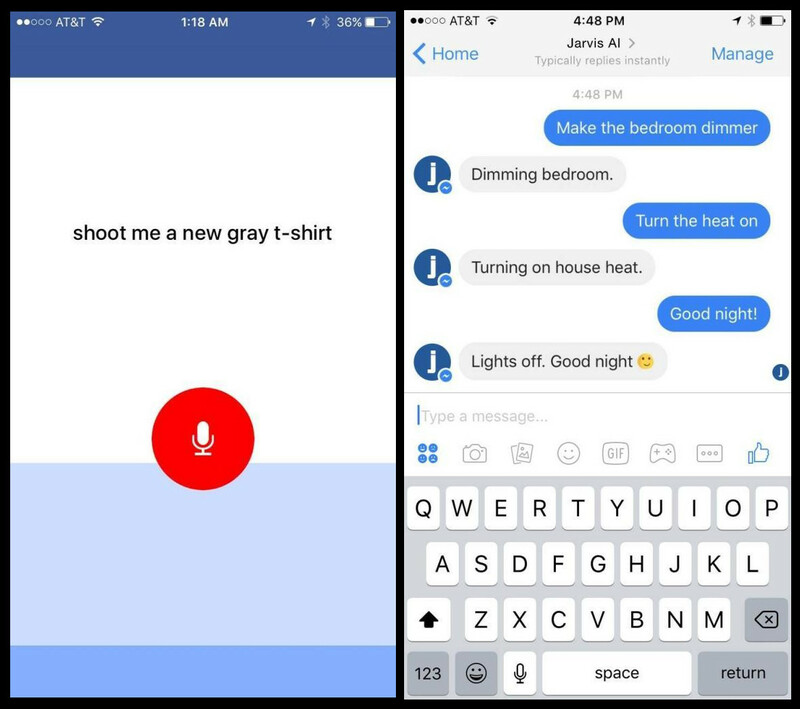 Another point to be noticed is Jarvis’s abilities to decode textual as well as voice command from anywhere through the Jarvis bot programmed on Mark’s Facebook messenger app. As of now, there is no official confirmation that Mark would implement his Jarvis AI in controlling the Fake news of Facebook. However, marks explanation for implementing Jarvis bot in Facebook messenger is definitely an indication of it. Hopefully, the AI based system would come up with some interesting optimizations and opportunities for the social media marketing too. Let’s wait for the time when Jarvis would take control of the Facebook’s operation for most of the important work. As of now, we can only assume that a new era of social media optimization is knocking on our doors with Zuckerberg’s Jarvis and Facebook.